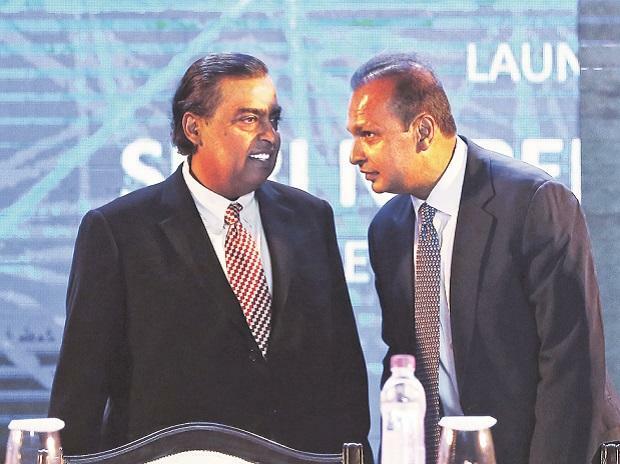 Nearly 15 months after Anil Ambani agreed to sell assets of Reliance Communications to a telecom firm run by elder brother Mukesh, the two groups Monday called off the deal citing delays in approval from the government and lenders. "The said transactions have become incapable of being consummated in accordance with the terms thereof, on account of various factors and developments since the execution of the said agreements nearly 15 months ago...," RCom said in a regulatory filing. The reasons included non-receipt of consents / objections from RCom's over 40 foreign and Indian lenders in relation to the proposed transactions even after 15 months and over 45 meetings, as well as the non receipt of permissions and approvals from the telecom department. Other factors behind termination of agreements included the decision taken by the Rcom Board on February 1, 2019 to seek fast track resolution of its overall debt through the National Company Law Tribunal, and order passed by the NCLAT on February 4, 2019 restraining the sale, transfer or alienation of any movable or immovable property of RCOM, RTL and RITL (RCom Group companies). NCLAT, that it is not possible for them to sell the specified assets, and therefore, the NCLT process for debt resolution should be reinstated," RCom said citing other causes behind the decision. "RCOM Group is committed to a comprehensive resolution of their overall debt, with transparency, certainty and finality, through the NCLT process," it added. In December 2017, RCom had signed a blockbuster deal with Reliance Jio for the sale of wireless spectrum, tower, fibre and media convergence nodes assets - the proceeds of which were to be used to pare its staggering Rs 46,000 crore debt. Earlier today, Reliance Communications paid Rs 458.77 crore to Swedish telecom equipment maker Ericsson as per SC directive -- clearing outstanding dues and fending-off a jail term for its Chairman Anil Ambani.